$7,119.00 This may be in stock for quick delivery; please call! Fortified by its elegance and incomparable style, the Tosca clarinet, designed by Michel Arrignon, is the fruit of extensive experience and innovation. One of Buffet Crampon’s greatest strengths is its capacity for developing new instruments in close cooperation with the best-known musicians of the French school of wind instruments. Musicians we have worked with include Romain Guyot, Pascal Moraguès and Guy Deplus. Endowed with rich harmony and a unique sonority, the Tosca clarinet’s timbre and fullness are exceptional. 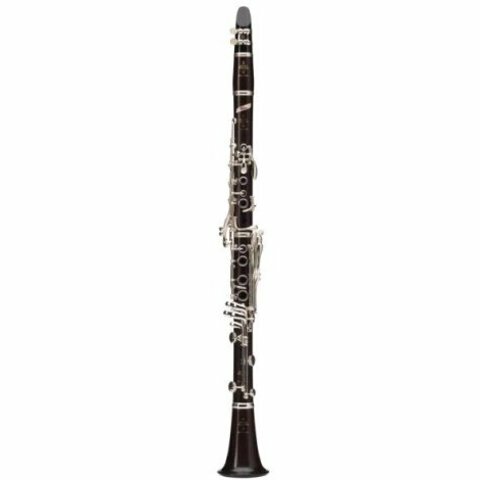 Its ease of response and flexibility and its high level of comfort are qualities that distinguish it from other clarinets, and that constitute the very essence of this clarinet, part of the R13 bore family. It is available in Bb, A and Eb, in grenadilla wood or in the Green LinE composite material.